While February may end, and with it, Black History Month, the spirit and purpose of those who have been inspired by this time of year continues to live on. One such individual is the late Dwayne Browder. While February may be a month to celebrate and commemorate all of those in the African American community, the closing ceremony of Black History Month in the Cleveland city hall rotunda was dedicated to one man, Dwayne Browder. A close friend of Mayor Frank Jackson and Ward 5 Councilwoman Phyllis Cleveland, Dwayne Browder may not be a name that every Clevelander knows, but it is a name that every Clevelander should know. Born, raised, and lived his entire life in Cleveland, Mr. Browder dedicated himself to serving the people of his community. For 24 years he worked in the Department of Public Service and Parks, Recreation, and Properties. With his close ties to his neighborhood and his local government, Dwayne spent much of his waking life helping others. 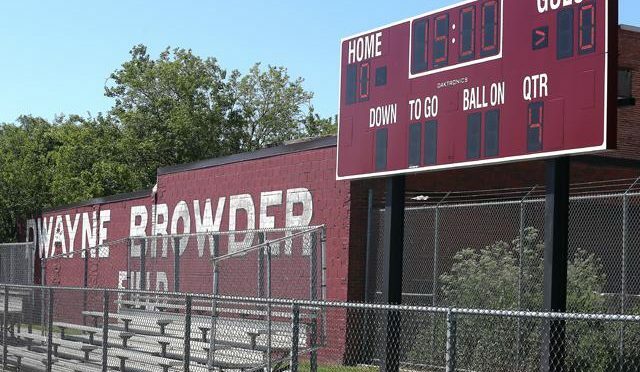 Whether it be coaching the youth football teams of Cleveland, or assisting those in his neighborhood with finding housing, Mr. Browder was never one to take before he could give. Mr. Browder passed away December 17th, 2017. Other than a distant cousin, he has no living family.